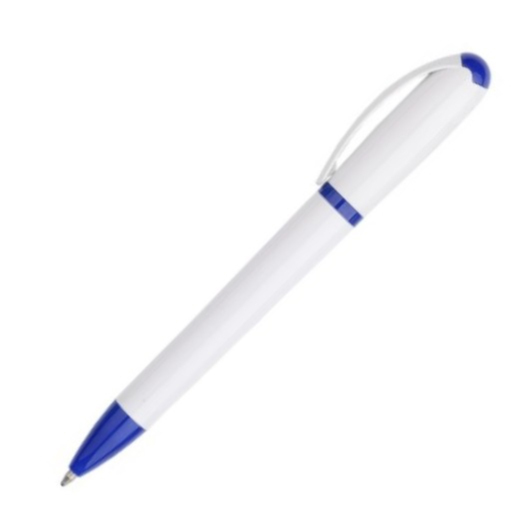 Twist action plastic pen in solid white barrel. 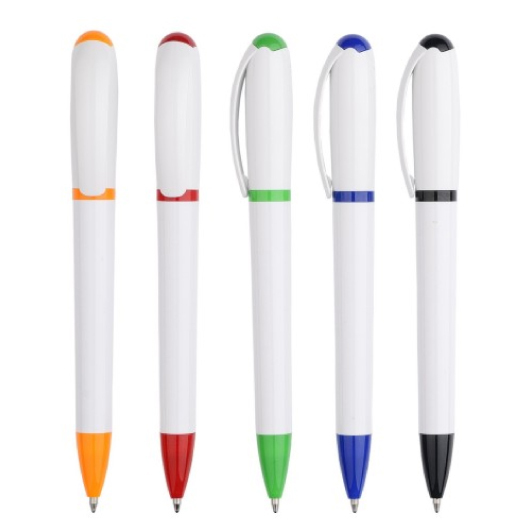 Put pen into paper in style with these trendy plastic pens! They feature a solid white barrel with colourful top, mid and tip design. 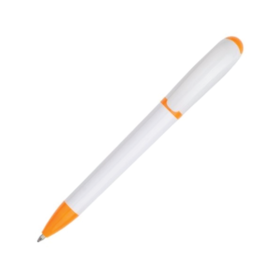 These pens utilize a twist action mechanism and are super easy to carry and store in place made possible by their metal clip. These pens are supplied with 1.0 mm black refill.